MINIX has now announced an updated version of their MINIX NEO X8-H android media player simply called MINIX NEO X8-H Plus, replacing Amlogic S802 by Amlogic S812, which brings support for video playback of H.265 / HEVC videos up to 4K resolution, and Gigabit Ethernet. The Wi-Fi module also appears to been upgraded to support 802.11ac. Accessories also appears to be the same: 5V/3A power adapter (1.80m cable), a short OTG cable (23cm), a micro USB cable (1m), an HDMI cable (1.02m), a Wi-Fi antenna, an IR remote control, and an English user’s manual. There’s also M1 air mouse and its USB receiver included in the package. The device runs Android 4.4.2, and I’ve been told it would ship next week (Monday). I hope the firmware is better than the current version available for M8S, as I’ve had to postpone my review due to too many issues, including one hardware (power supply) related problem. MINIX NEO X8-H Plus currently sells for about $159 including shipping [Update: X8HPCN coupon will lower the price to $146.99], instead of $149 for NEO X8-H. I got the information via Gearbest, but it’s also available for purchase on GeekBuying, and Ebay for now. They were very strong, looking forward to it and hope that is compatible with the buildroot from Amlogic ! tell me how to test the buildroot, i already get the sample, i will test for you guys. Minix support. Hehehe that a laugh. It seems they stopped supporting firmware updates for all their devices before x7 after a year. What makes us think the X8 and X8H will be different. To find out, I need an update of this box, even an Android version will suffice to look “HEXA” bootloader, and thus know the name of the card (BR2_TARGET_UBOOT_BOARDNAME). They just released the Kitkat firmware. Don’t see other brands really updating the RK3188 devices except MINIX. They are just superb in terms of software support. 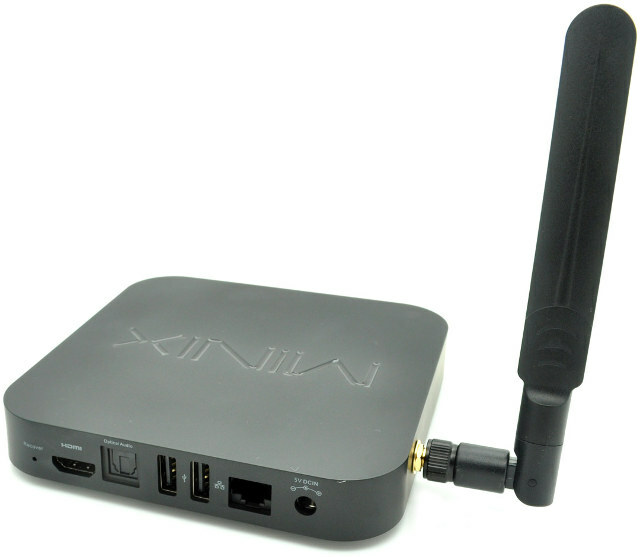 Does the MINIX8 support theDIVX format? Please somebody answer! I had no problems playing DivX videos on it.